Have you found a wet patch of smelly skin on your dog? This is a hot spot, otherwise known as acute moist pyotraumatic dermatitis. It is a warm area of infected skin that can be painful, red, itchy, and stinky, and usually drains pus. 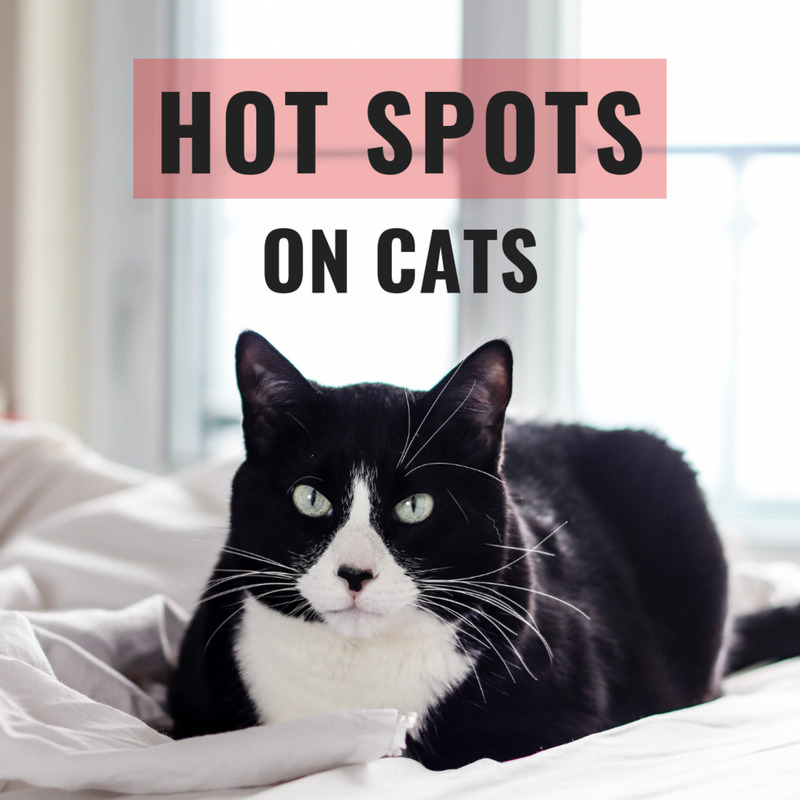 Hots spots are a result of scratching, licking, and biting, which can be caused by any number of factors that irritate the skin, including allergies, insect bites, matted coats, moist or dry skin, or boredom. Flea allergies often lead to hot spots, so using a regular flea treatment is crucial to preventing breakouts. How Do Hot Spots Form? When the skin is pruritic (itches), scratching and licking will occur, which leads to secondary trauma of the skin. The coat traps moisture that allows an opportunistic bacterial infection, usually caused by Staphylococcus intermedius. The infection causes hots spots and leads to further irritation. If not treated, the dog will continue to scratch, and thereby spread the infection to other areas of the skin. 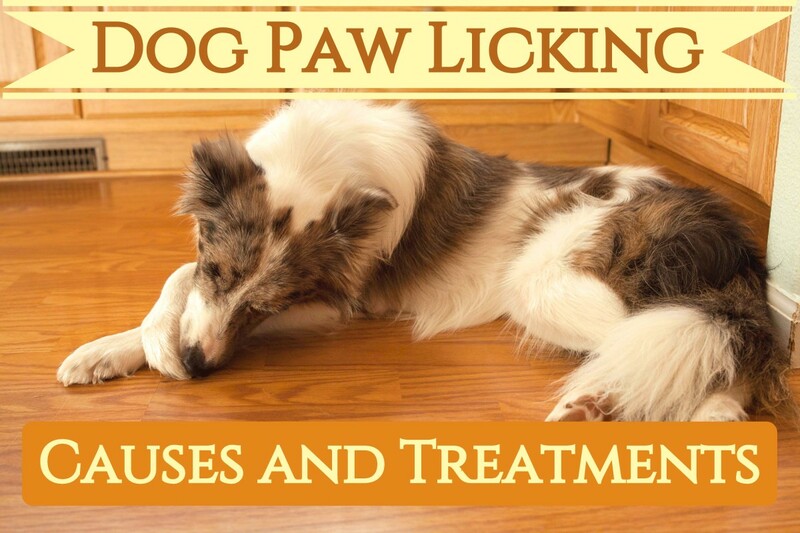 The following treatment is the simplest conventional treatment that inflicts the least stress on dogs. And it almost always works! Clean and disinfect the hot spot. Apply an antibiotic or a natural remedy (see below) to relieve itching and encourage healing. Stop your dog from licking the hot spot until it fully heals. Licking will spread the infection and make it worse! Identify and remove the underlying cause. Clip the hair around and above the hot spot. You must trim the hair around the infected area to prevent it from getting into the wound and making the infection worse. Use clippers or scissors, and make sure to clip at least a few centimeters all the way around the wound. Note: Be careful when clipping just above the affected area since the skin is damaged. Being rough will make it harder for the skin to heal. Remove all of the pus from the wound with a moist cotton ball or gauze pad. Dampen it with warm water and gently wipe or dab to remove pus. Removing pus before cleaning is important to avoid pushing pus further into the wound, which can possibly worsen an infection. Apply sterile saline to disinfect. Even after you remove pus from the top of the skin, the wound is still badly infected. Disinfect by cleaning the wound with sterile saline, which can be purchased at any drugstore in the first-aid section. Use sterile saline at light to medium pressure (between 4 and 15 pounds per square inch or psi) to irrigate the wound. You can poke holes into the top of a bottle or dispense through the nozzle accordingly to irrigate the wound; if you have access to a 6mL syringe or similar, this may work well, too. You can also use betadine (also known as povidone iodine) in its proper dilution if nothing else is available, however, due to studies about the cytotoxic effects of concentrated betadine, it is advised to use sterile saline. Use a mild shampoo to bathe your dog's entire body. If your dog has been scratching, hot spots will probably develop in other areas within the next few days, so it's important to clean off some of the loose bacteria and allergens. When brushing him afterwards, be sure to break up the trapped balls of hair (some dogs will benefit from a raking brush to remove the undercoat). I like to use a dilute chlorhexidine shampoo, but if you do not have a medicated shampoo on hand, any dog shampoo will help. Apply an antibiotic cream to control the local infection and stop the area from itching. The most effective treatment for an uncomplicated hot spot is a mild steroid/antibiotic cream, which you can purchase over the counter. Neosporin is an effective and safe ointment to use on dogs but the biggest problem is that most dogs will lick creams off if not watched closely. 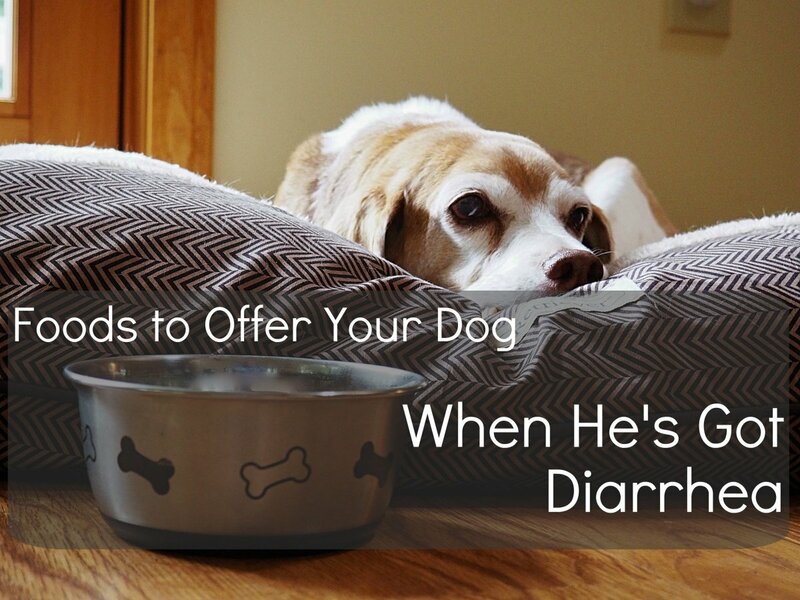 (If your dog licks the cream off he is going to develop diarrhea.) A much better solution is to use an ophthalmic solution that contains the same products, an antibiotic and an anti-inflammatory. The solution is a liquid and it soaks into the skin quickly so that the dog will not lick it off. Your dog may need to wear an Elizabethan collar to keep him from reaching back and chewing /licking his irritated skin. A collar is the best way to prevent dogs from causing more trauma and making the infection worse, however, if the hot spot is on his neck, a collar might make the infection worse. Can I Use Benadryl for Hot Spots? 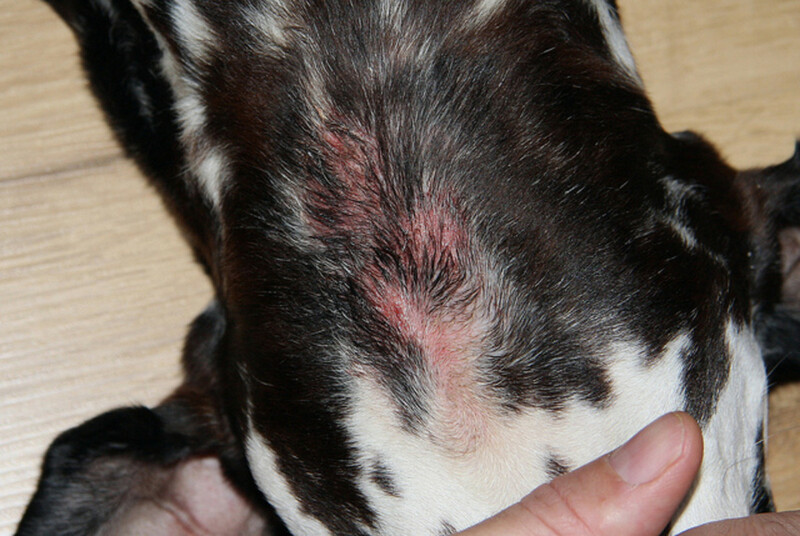 Some vets also recommend using benadryl (diphenhydramine) for the itching associated with hot spots, but if you use the clipping and cleaning techniques described above, the drug is usually not necessary. If you decide to administer it, consult your vet first. The dosage I recommend is about 1 mg per 1 kg (or per 2.2 lbs) every 8 hours, orally. (That dose is low and will cause few side effects. Note that it does cause drowsiness). I encourage clients to treat this problem at home as soon as possible to relieve itchiness immediately, heal the skin, and prevent potential pain as a result of an untreated infection. If the client finds the hot spot in the evening after work, it can be treated three to four times before the next morning and prevent the dog from being in pain a lot sooner. How Much Time Does It Take a Hot Spot to Heal? You should see improvement within 2-3 days, but it can take 1-2 weeks for the hot spot to completely disappear and for the skin to return to normal. Aloe vera contains prostaglandins, which reduces inflammation and provides relief to itchy or burnt skin. This natural remedy is also anti-bacterial and anti-fungal, and contains vitamins that promote skin healing, making it the perfect natural treatment for hot spots. Apply a thin layer of store-bought aloe vera gel or gel straight from the aloe leaf. If using gel from the leaf, avoid the sap and apply the clear jelly part only. Gently run it into the skin with you clean finger until it is no longer slimy. Apply aloe gel 2-3 times a day until the hot spot is gone. Aloe vera is toxic to dogs if ingested. 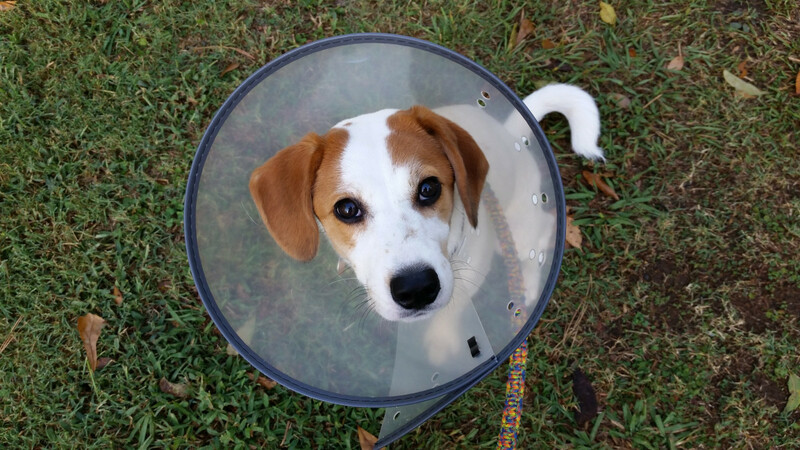 Be sure your dog wears a cone to prevent licking and ingestion. Supervise if necessary. Rub a generous amount of natural coconut oil on the hot spot after cleaning. Coconut is anti-fungal, anti-bacterial, anti-inflammatory, and anti-microbial and contains many other benefits. It also brings instant relief to dry and itchy skin. The nutrients in coconut oil speeds up the healing process as well, so it's an all-around fantastic ointment to use on the skin. It's also safe for dogs to ingest. Oatmeal soothes dry, itchy skin. It has anti-inflammatory properties and contains saponins, a natural cleansing agent that exfoliates and removes dirt and oil. Grind 1-2 cups of old-fashioned oatmeal to a fine powder. Make sure the oatmeal does not contain any added ingredients, like sugar or flavoring. Fill a tub with warm water and mix in the ground oatmeal. Allow your dog to soak in the tub for 10 minutes while you message the oatmeal/water mix into his/her skin. Rinse your pup with warm water and towel dry. The tannic acid in black tea inhibits the biofilm development caused by a staph infection and makes it more difficult for the staphylococcus bacteria to develop a colony on the skin. Steep a bag of black tea and allow the bag to cool completely. Apply the wet tea bag to the infected area and squeeze the cool liquid over the area. Do not wipe off the excess or allow your dog to lick it off. Warning: Do not apply undiluted apple cider vinegar to an open wound. It will sting! If your dog gets upset and growls or snaps, switch to another method. Apple cider vinegar is both anti-fungal and anti-bacterial because it is acidic and bacteria cannot thrive in an acidic environment. It also contains a multitude of vitamins and nutrients to help the skin heal. The “mother” from the organic cider also contains lactobacillus, a bacteria that thrives in acidic environments and may compete the staphylococcus bacteria. This is the organic brand of apple cider vinegar that I use. If using apple cider vinegar, I recommend diluting it with equal parts water. Pour just a little bit of the mixture onto a cotton ball to apply. Apply every few hours on the first evening, and then less often as the skin gets better. After applying vinegar or tea, sprinkle corn starch over the area to keep the wound as dry as possible. This is not as important as taking care of the dog's infection, but it will make him a little more comfortable. • Hydrogen Peroxide: Damages skin tissue and slows the healing process. • Listerine: Damages the skin, slows the healing process, and burns. There is a foul odor: If it gets to this stage, your dog will need veterinarian-prescribed antibiotics and possibly hydrocortisone to control the itching and promote healing. Your dog fights you/shows signs of pain and discomfort: If your pup tries to bite you or yelps out when you try to treat the hot spot, it may be best to let the vet anesthetize the area and apply treatment. The hot spot doesn't show signs of improvement or gets worse after two days: If you don't see progress even after using the home treatment, you may need stronger reinforcement from a veterinarian. This vet provides some alternative remedies for treating hot spots that have worked in his practice. The video also shows the clipping and cleaning procedures, so before you start treating your dog's hot spot, take a few minutes to watch this. What Is the Root Cause of My Dog's Hot Spot? This is the most common cause of hot spots. You will see outbreaks on many areas on your dog's body, but especially around the tail. If the dog is allergic to fleas, even one bite will cause intense itching, and your dog will start biting at the wound and scratching. Before long, he will develop a secondary infection, which may turn into a hot spot. 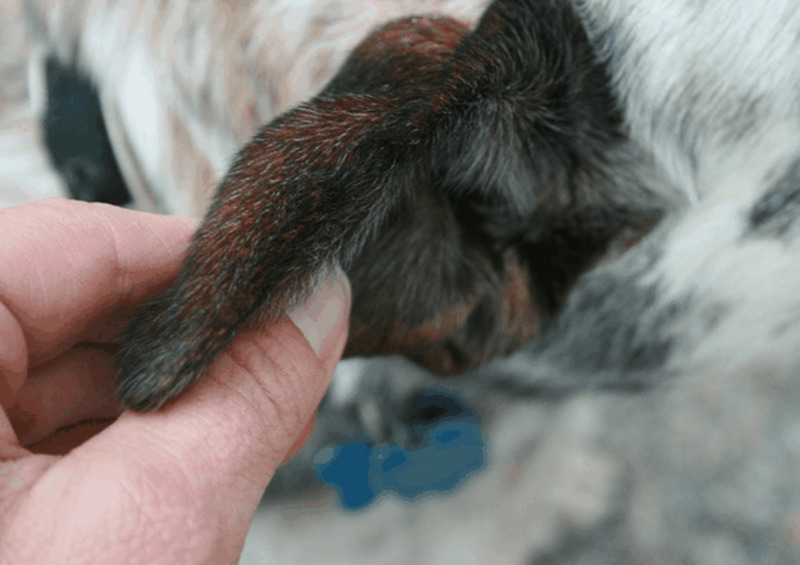 Even if he is not allergic, multiple flea bites on his rump, where his hair is especially thick, can lead to hot spots. Tick or insect bites (my Siberian Huskies used to get infections in the summer from tick bites). Pollens or molds: Tree, grass, or weed pollens are common during the spring and summer. Allergy to mold, mildew, and dust mites occur all year round. Symptoms include itching, watery eyes, and sneezing. Clean your dog after a romp in the grass and rid the house of dust and mildew. 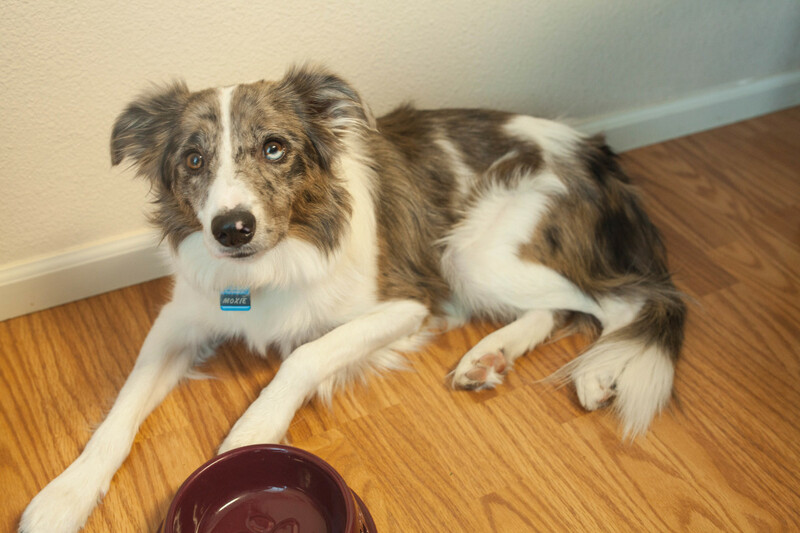 Food: You'll notice ear infections, itchy rears, red paws, and/or watery eyes. Common food allergens are wheat, dairy, soy, egg, beef, lamb, chicken, and fish. Foods with chemicals and preservatives also cause dry skin, which can lead to hot spots. Cleaning products or chemicals: If you notice hot spots on the belly or feet, then your floor and/or the dog's bedding contains chemicals that your dog is allergic to. Switch to a natural cleanser and laundry detergent. Shampoo: Switch to a shampoo for sensitive/allergenic skin, preferably one that is all natural. If you are sure allergies are the cause, here are my 10 tips to help make your dog comfortable while you try to get rid of the allergy. A lot of dogs with ear infections have allergies, but even if your dog does not have an allergy and develops an ear infection, a hot spot is a potential secondary problem. The ear itches, the dog scratches the skin over the canal, and when the skin breaks, the bacteria multiplies and causes a hot spot. Dogs with thick, long coats are usually the most susceptible to hot spots. 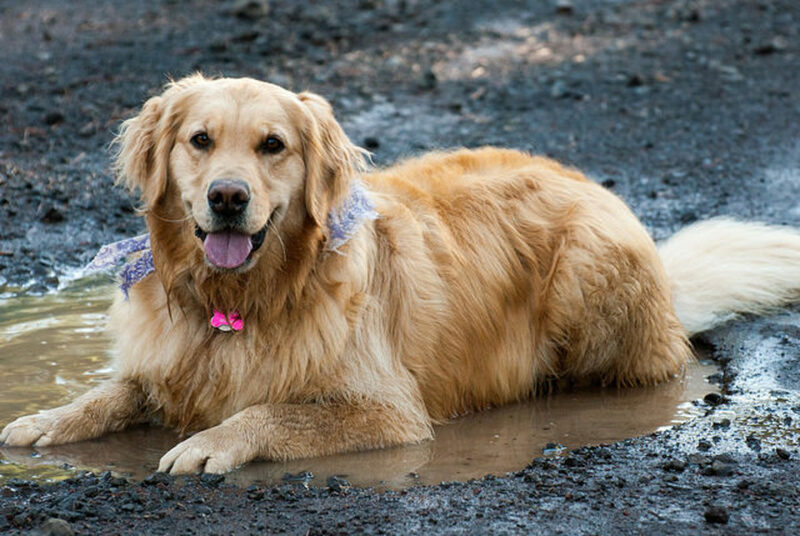 Some dogs will present with a hot spot after going for a soak in a pond. I have seen this most often in dogs with thick undercoats like Newfoundlands and Siberian Huskies, so all dogs should be dried after going for a swim in a pond or river. If the pond is very dirty, rinse your dog with a hose before drying. If your dog is developing recurring hot spots over his hips there is a good chance that he has arthritis from hip dysplasia. He cannot rub on his sore joints so he licks them and the trauma to his skin shows up as a hot spot. A stressed or bored dog will sometimes chew or lick himself, damaging his skin in the process, and develop a staph infection. If you have a smart or active dog, like a Golden Retriever, and you rarely take him for a walk, to obedience classes, or engage him in other activities, he will resort to nervous behaviors, like licking or chewing his paws. If your dog has more than one or two outbreaks, antibiotics and steroids are not the answer. There is an underlying problem that needs to be addressed, so even if you cannot find out the cause of his hot spots, there are things you can do to prevent it from happening again. Switch your dog to a good-quality diet: The best diet to keep the skin in great shape is to avoid a grain-based dog food. Try switching your dog to a raw diet made up of mostly meat and raw bones. My dogs also get some fresh vegetables and fruit so that their diet is supplemented with additional antioxidants. You can also try some really high-quality hypoallergenic food brands, but raw food is best. Coconut Oil: The saturated fats in coconut oil will reduce your dog's allergic reaction, which may be enough to stop the itching/scratching cycle that leads to hot spots. You can apply coconut oil to any active hot spots to benefit from its antibacterial properties, but some dogs will just lick it off so the best way to benefit from it is to give your dog some coconut oil on top of his food once a day. Use about a teaspoon for a medium-sized dog (less for a small dog and more for a large or giant dog). Vitamin E: This is one of the antioxidants that is important to stop the itching/scratching cycle. If your dog is allergic and has recurring hot spots, poke a hole in a vitamin E capsule and put a drop right on top on his food. Omega-3 fatty acids: The essential fatty acids are important to keep your dog's skin in the best condition. Foods that claim there are “fatty acids added” usually don't contain enough since omega-3 acids are the most expensive fatty acid. Prevent recurring hot spots and other skin problems by giving your dog a daily dose of a good-quality fish oil, like Grizzly Salmon Oil. This is the product I use, and it is made from cold-water salmon and contains a high level of omega-3 fatty acids. To give the proper dose, follow the instructions on the label. Warning: Don't take fish oil and vitamin E supplements together. The combination could cause blood thinning. Consult your vet before giving any supplements. Many skin problems are so serious that they require intensive veterinary care. Fortunately, a hot spot is not usually one of them. If you want to try and treat it at home, it is safe and effective to do so. Just be sure to get help from your vet if you are not able to cure it using the methods described above, or it keeps coming back despite your best efforts. Coconut oil: Antistress and antioxidant effects of virgin coconut oil. Yeap SK, Beh BK, Ali NM, Yusof HM, Ho WY, Koh SP, Alitheen NB, Long K. Exp Ther Med. 2015 Jan;9(1):39-42. My dog had hot spots on his back it was cured, and everything was going back to normal. After 15-20 days I gave him a bath with the medicated shampoo the doctor had suggested to me, and this time the hotspots returned even worse, with pus. What should I do? The new hot spot may have nothing to do with the previous occurrence. The best thing to do is clean the new spot as outlined in the article, see how it is responding, and use black tea bags on the infected spot. You may want to get some ophthalmic drops, as described in the article, to treat the local inflammation/infection. I have a two-year-old German Shepard. His armpit hair has been rubbed off. Also, it looks like layers of skin are missing, probably the area size of a hand. Looks wet. Doesn't smell bad. Don't see bugs. Do you have any idea? A photo that looks similar is not much help at all. 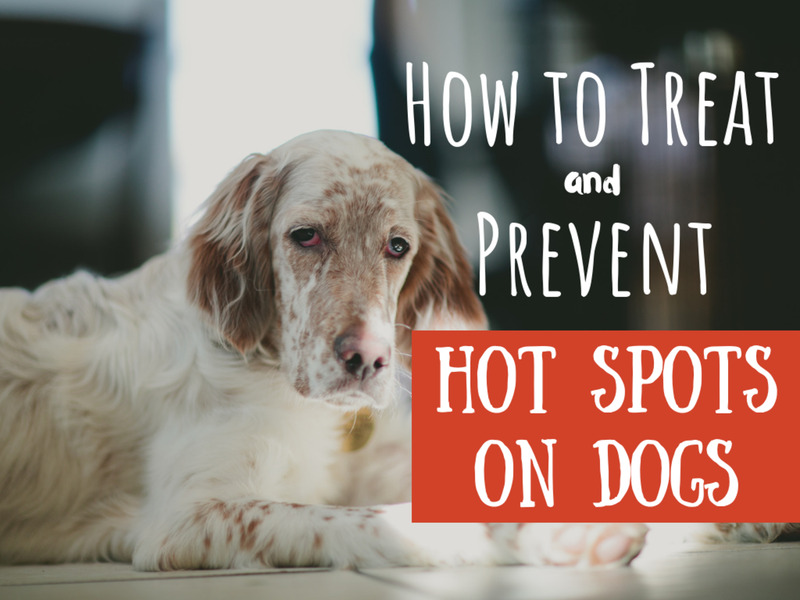 It does not sound like your dog has a hot spot. If you want to try and treat him for a yeast infection that is fine because it does not sound like anything urgent. If your dog does not respond to the treatment for yeast, he really needs to be examined by your vet and have his skin scraped and possibly cultured. Can I still give my dog flea baths with him having hot spots? If you are just cleaning your dog with water, there is no problem. If he has a hot spot, however, the wound is open. It is not a good idea to pour a chemical into an open wound. If this were my dog, I would take care of the hot spot first, and then worry about bathing him later. Can I touch my dog's ‘hot spot’? A dog has exposed nerves where the skin is raw and is more sensitive, so if you touch it during treatment you need to be gentle. Be careful to not get bitten. My dog has hot spots. and your info is helpful, but my dog tries to bite me when getting near a hot spot. What can I do? Hot spots are painful, so it is normal that a dog will try to bite when you are clipping and cleaning the area. That is her only means of protection. You have to put a muzzle on some dogs. If you cannot afford to go out and buy one from a pet superstore, there are videos on Youtube that will tell you how to make a muzzle out of roll gauze. A regular muzzle is safer though. What home cooked diet is best for moist eczema? The best diet for all skin problems is real food, known as the BARF diet. It is composed of mostly meat and raw bones. You should also look into taking care of your dogs' secondary yeast infection. I have a comprehensive article on yeast infections at https://hubpages.com/dogs/dog-yeast-infection-symp... ^he most important thing you should remember is bathing, treating the skin with a compound like apple cider vinegar that will kill the yeast, and applying coconut oil to keep the skin healthy. Excellent and very useful article for all the dog owners. Thankfully neither of my dogs have this but it is good to know what to watch for so I can catch it early and treat it. I always enjoy your Hubs, Doctor. They're very well written and informative. 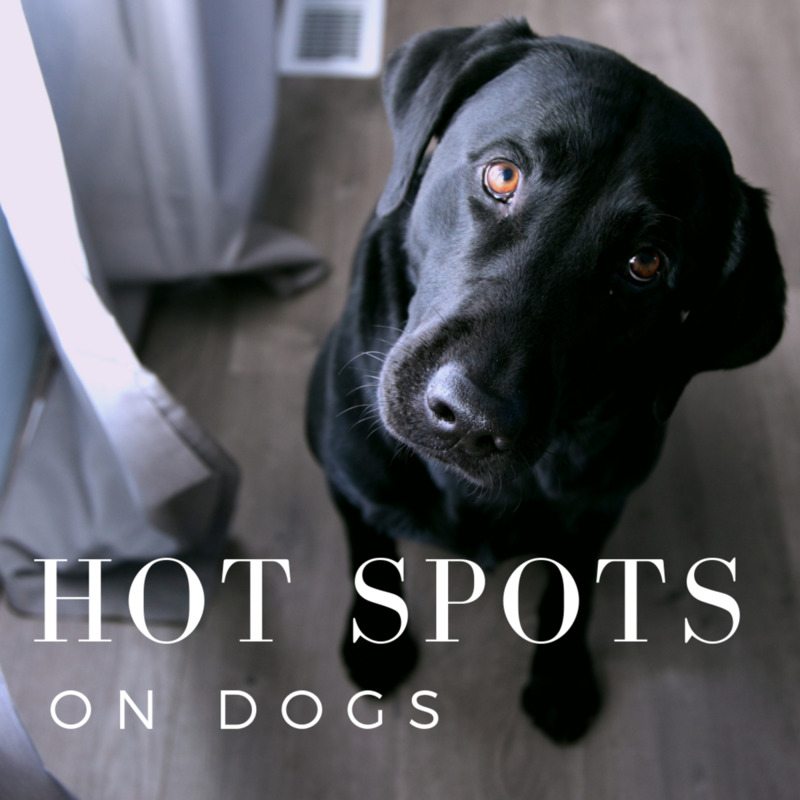 Hot spots are a pretty common problem outside the tropics, too, Doc, so this hub is particularly helpful to a lot of dog owners. Around here I notice that owners tend to have a very casual attitude about hot spots and don't seem to realize how much discomfort they cause the dog or how problematic they can eventually become. This is a good wake up call.